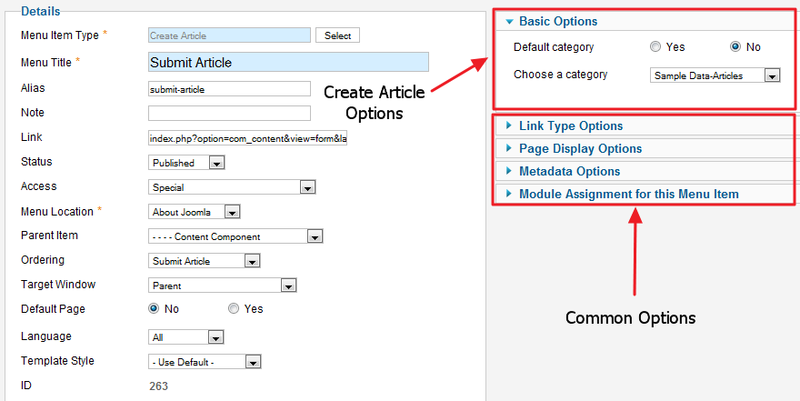 Click the Menu Item Type Select button and then click the Create Article link under Articles. Allows users to submit an article. Normally this is available only to users who have logged in to the front end of the site. Also, users must have permission to create articles. When the Create Article page is shown in the front end, the screen shows as in the following screenshots. 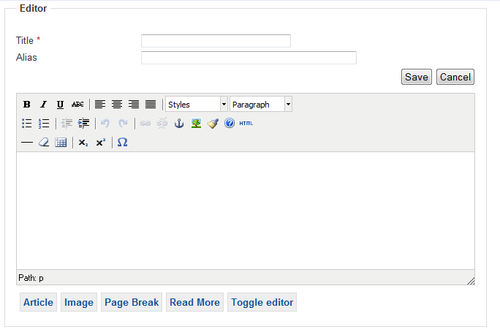 The Create Article has two options, as shown below. 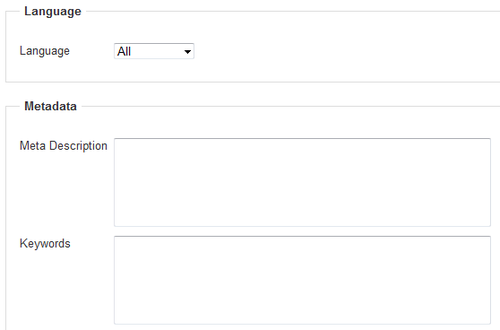 See Menu Item Manager: New Menu Item for help on options common to all Menu Item types. These options include Details, Link Type Options, Page Display Options, Metadata Options, and Module Assignments for this Menu Item. This page was last modified on 12 February 2013, at 09:30.